Learn how to use favorites and tags to organize your items and find them easily. You can use multiple tags on a single item, like health and insurance, to help narrow down your search later. To mark an item as a favorite, select it and click below the item name. To view your favorite items, click Favorites in the sidebar. To create a tag, edit an item, enter the name of the tag in the tag field, then click Save. You can separate multiple tags with commas. 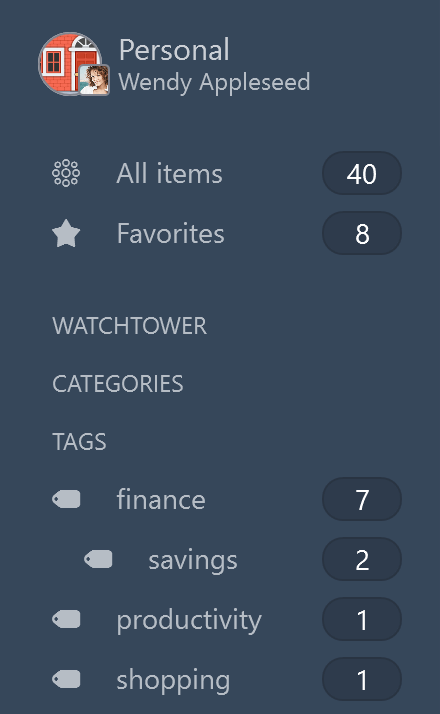 To view your tagged items, click a tag in the sidebar. To mark an item as a favorite, drag it to Favorites in the sidebar. Or select it and click in the top right. To create a tag, edit an item, enter the name of the tag in the tag field, then click Save. You can separate multiple tags with commas, or nest them using a forward slash (/). 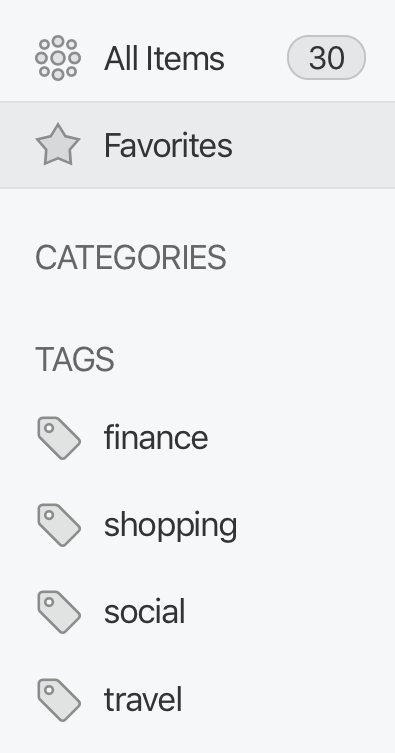 To apply a tag to additional items, drag the items to a tag in the sidebar. To rename a tag, right-click the tag in the sidebar and choose Rename. 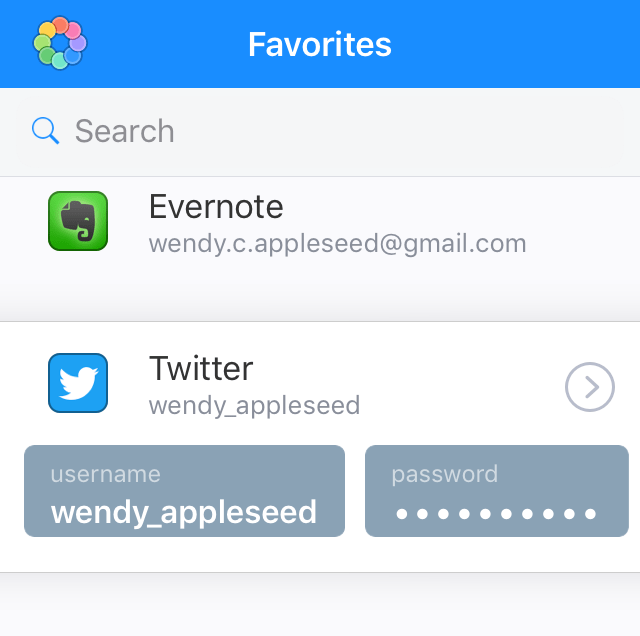 To mark an item as a favorite, tap it to see its details, then scroll down and tap Add to Favorites. To view your favorite items, tap Favorites. Your recently used items are listed at the top. 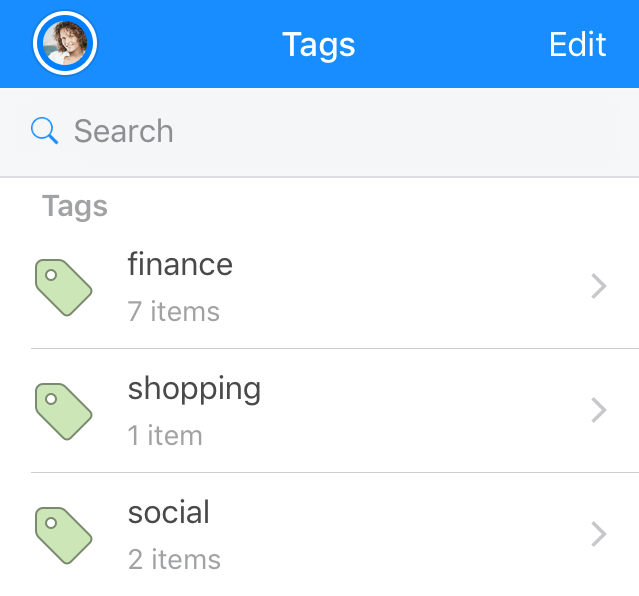 To create a tag, open an item and tap Edit. Then scroll down and tap the tags section. Enter the name of a tag and tap Done. You can separate multiple tags with commas. To view your tagged items, tap Tags. To create a tag, edit an item, enter the name of the tag in the tag field, then click Save. To add multiple tags, enter each tag name in a new tag field. You can nest tags using a forward slash (/). To apply a tag to an additional item, right-click the item and choose Tags. To mark an item as a favorite, tap it to see its details, then tap . 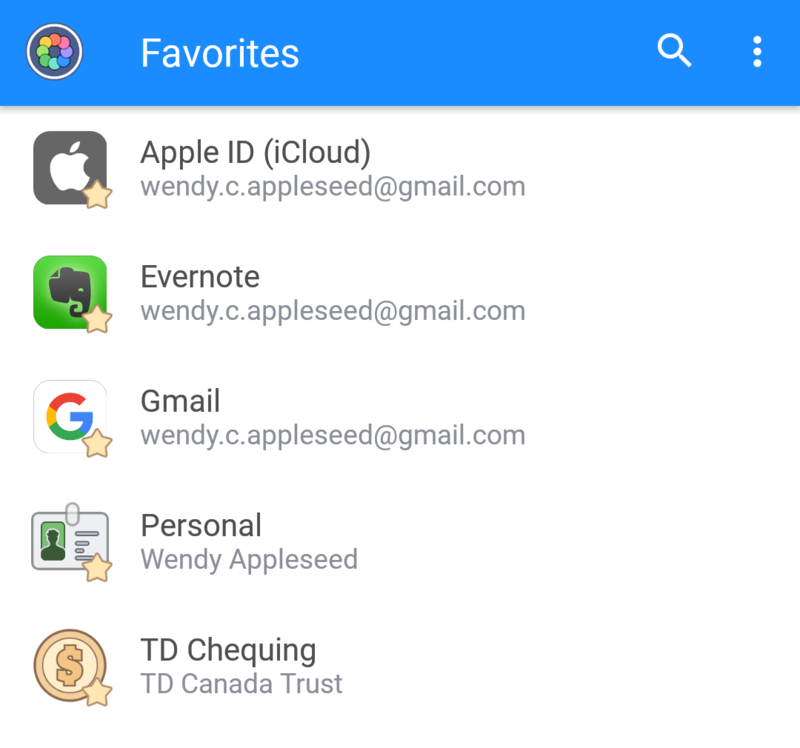 To mark multiple items as favorites, touch and hold an item, tap the other items to select them, then tap . To view your favorite items, tap Favorites. 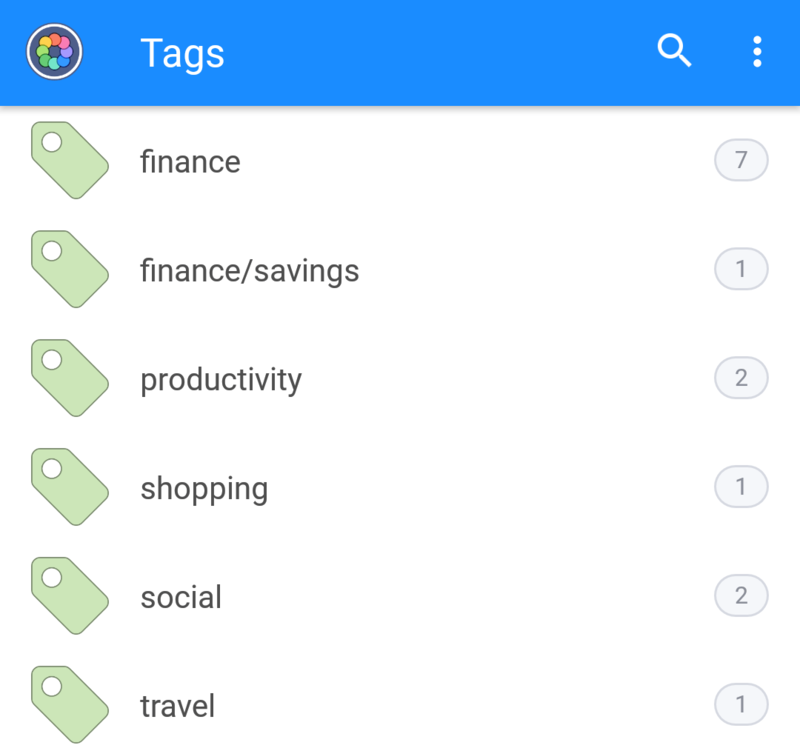 To create a tag, open an item and tap , then scroll down to the tags section. Tap Add Tag, enter the name of a tag, and tap “Create tag”. When you’re finished, tap to return to the item details, then tap Save. To view your tagged items, tap Tags. To rename a tag, tap it, then tap . Enter a new name for the tag, then tap Rename.